How To Host Web Scripts Or Files On Google Drive? Home > Blogging > How To Host Web Scripts Or Files On Google Drive? SEE ALSO: How To Create Custom Email ID Using Google Apps? If you are a blogger user then you should know that blogger has not any feature to host CSS or JaveScript files directly to get their in Hotlink. In blogger blog you have to put your all web scripts through HTML tags in one place which is called Template. It’s not a big issue for blogger but when you want to decorate your own blog or publish a web designing tutorial included with external third party’s scripts then where you will host them? Now lets see how to host your CSS or JaveScript files on Google Drive? 1. 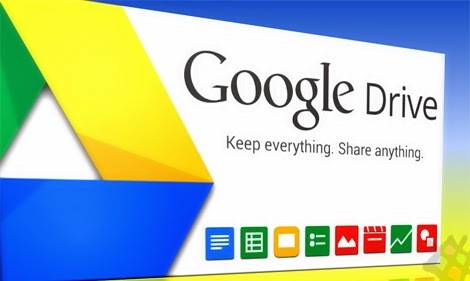 Visit drive.google.com and sign in with your Google account. 2. Click Upload button to upload file(s). Alternate: You can also use drag and drop technique to upload. 3. Select your files to upload. 4. After uploading, click the right button of mouse on the file and select Share → Share. 5. 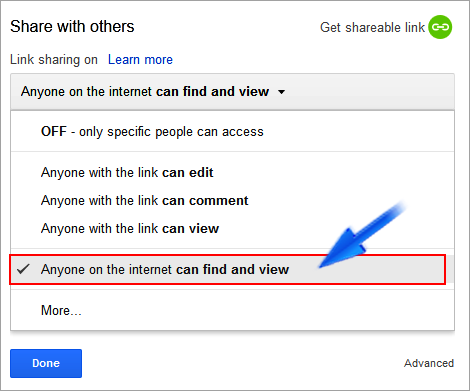 From Sharing settings select "Anyone on the internet can find and view button." 6. 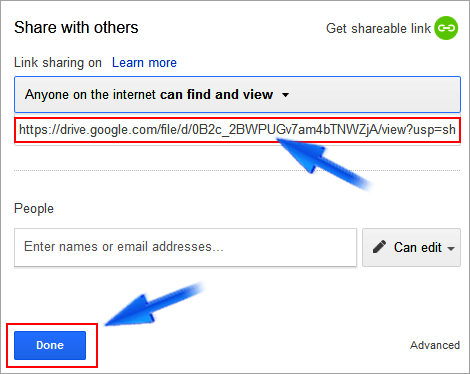 Now copy the sharing link from the Sharing settings. 7. After coping, click Done button. The green mark code is your file code. This will makes your files directly worldwide accessible. ALSO READ: How To Improve Alexa Ranking Globally? In your HTML index file, search for <head> tag and paste the following embed structure as matched as your file type at just above/ before of <head> tag. That’s all my friends. I hope I have made everything crystal clear. If something is missing or have any question please feel free to ask me in comment below.